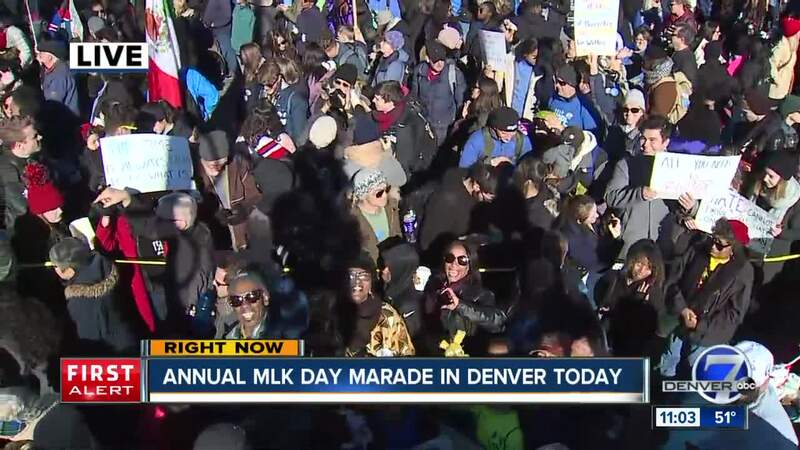 DENVER – Thousands of people are expected to march along East Colfax Avenue this Monday to celebrate the life and legacy of Dr. Martin Luther King Jr. during the annual MLK Day Marade in Denver. Here are 5 things to know ahead of the annual event. The Marade (a portmanteau of the words “march” and “parade”) has been happening in Denver for the past 34 years. 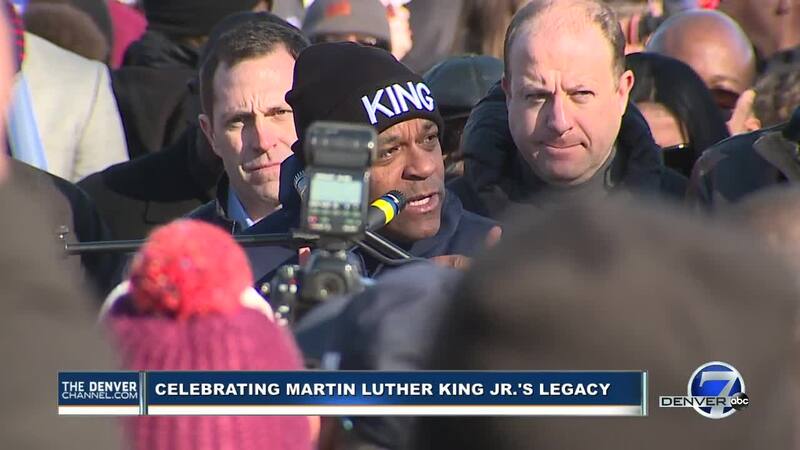 The Dr. Martin Luther King Jr. Colorado Holiday Commission, the organization behind the annual event, says the Marade is the only one of its kind across the entire country. 2. Plan ahead if you rely on public transportation along Colfax Ave. Some RTD bus routes will be temporarily detoured during the Martin Luther King Jr. Marade, RTD officials said. Starting at approximately 10:30 a.m. and lasting approximately three hours, the following bus routes will see parade-related detours and delays: 0, 6, 9, 10, 12, 15, 15L, 16, 16L, 20, 24, 52, 83L. For more detailed information about a specific route schedule, head on over to the RTD website . As has been the case since its inception, those wanting to participate will congregate at the ‘I Have a Dream’ memorial at City Park at around 8 a.m. The event will start at City Park with a program at 9:30 a.m. Then, at 10:45 a.m., demonstrators will start making the 5K trek that will lead them to the Greek Theater at Civic Center Park downtown. The Marade starts once attendees march south along the City Park esplanade, turning right once they reach Colfax. The Marade will then march west all along E. Colfax Ave. until it reaches Civic Center Park for the final ceremony, which is expected to start as soon as everyone is in situ at about 1 p.m.
Several Colorado organizations are hosting service projects as part of this year’s Marade. There will be food bank collection, hygiene and clothing drives. You are asked to bring bags of rice, oatmeal, dry beans as well as grocery/carrying bags; bars of soap, washcloths, first aid kits; socks, hats, gloves, as well as hand and foot warmers. It won’t be snowing by the time the Marade starts, but it will be very cold. Lows are expected to be in the 20s and 30s early Monday morning, eventually warming up to highs in the 40s and the low 50s.